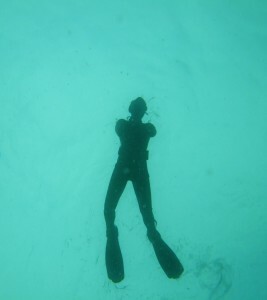 Snorkelling is the surface side of freediving. Plenty of our marine life occupy the shallows on the Wild Atlantic Way. You can be stunned by the sheer beauty and colour of our Atlantic Ocean even while floating on the surface. Snorkel groups are kept small and suitable for young teenagers or as family outings. I’m happy to act as a guide and/or give safety briefings. It’s brilliant to see the fascination on youngsters faces when actually touching a starfish, understanding the Ocean better and knowing what jellyfish can be touched and what ones to avoid. I usually only bring groups of 3-4 to a max of 6 depending on ability. Cost is €30 per person. You can use your own equipment or I can supply. Contact [email protected] for more information.